We’re just back from attending the Water Quality Association’s Annual Trade Show. We found some new products that we’ll add to our online store soon. However, we remain convinced that the lines of filters we have been offering are the best to be had. The kitchen, shower, bath, garden and whole house filters use the best technology available for filtering contaminants and leaving the trace elements that the body needs. The pitchers, the travel filters, and the preparedness bottles, pumps and such remain the best we can find. We’ve added some new filtering showerheads, and UV water purifiers that we are very impressed with. 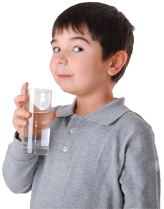 We’ll keep looking for great products to save and filter water. And are pleased we’ve found some new quality products to add to the line we offer. We continue to believe we’re offering the best products available for effectiveness and value.